Is your company ready to take advantage of the modernized, streamlined trade processing system that Uncle Sam has been working on for the last few years? Designed to do these things plus improve border security for imports and exports, the Automated Commercial Environment (ACE) is a U.S. Customs and Border Protection (CBP) system that helps improve collection, sharing, and processing of shipment information submitted to government agencies and the CBP itself. 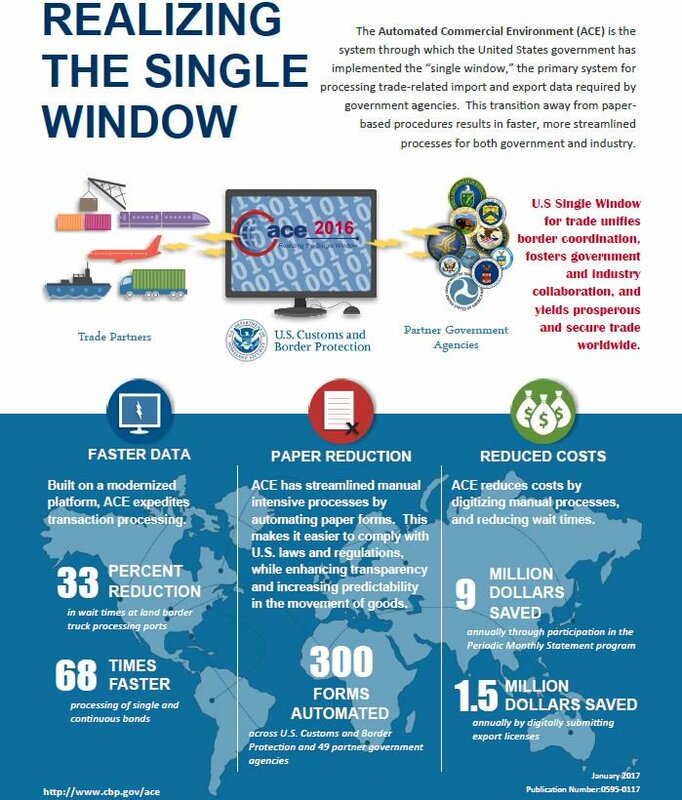 Part of a multiyear CBP modernization effort, ACE utilizes the United States’ Single Window (i.e., centralized access window for the trade community to connect with CBP and its partner agencies), and has nearly completely replaced the Automated Commercial System (ACS). Speed up and streamline global supply chains: The transition away from paper-based procedures results in faster, more streamlined processes for both government and industry, according to the CBP, which points out that the U.S Single Window for trade “unifies border coordination, fosters government and industry collaboration, and yields prosperous and secure trade.” And because it’s built on a state-of-the-art technology platform, ACE is expected to expedite transaction processing for air and ocean shipments. That will translate into a 33% reduction in wait times at land-border truck processing ports, CPB predicts, and make the processing of single and continuous bonds 68 times faster than it was previously. Reduce lengthy paper trails: The U.S. uses approximately 68 million trees each year to produce paper and paper products, and over the last 20 years, the usage of paper products has increased from 92 million tons to 208 million (126% growth). With ACE, the CBP has not only modernized the business processes related to U.S. border security, but it is also significantly reducing the amount of paper associated with foreign trade. To date, for example, the organization has been able to automate 300 different paper forms across the CBP and its partner agencies. 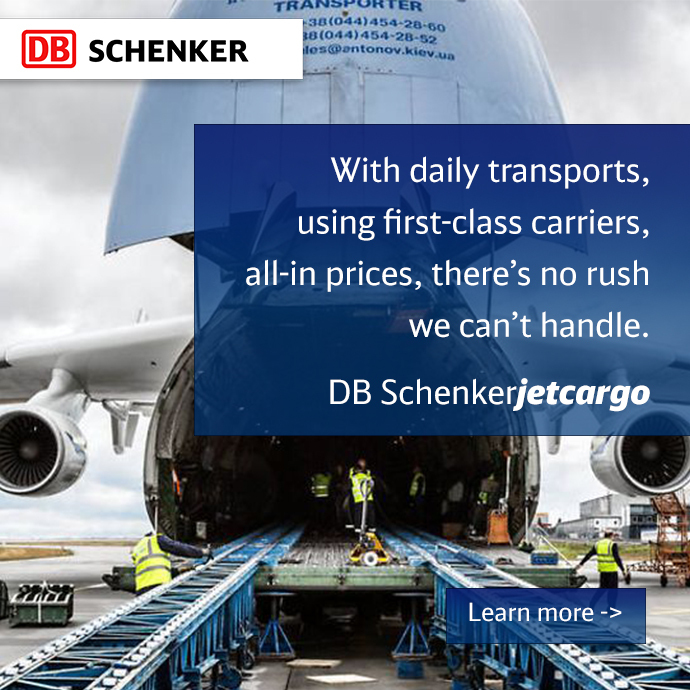 Drive down importing and exporting costs: Who doesn’t want to drive the costs out of doing business and managing logistics in today’s competitive world? According to the CBP, ACE will reduce the costs of foreign trade by digitizing manual processes and reducing wait times at the border—both of which can add significant costs to the shipping process. 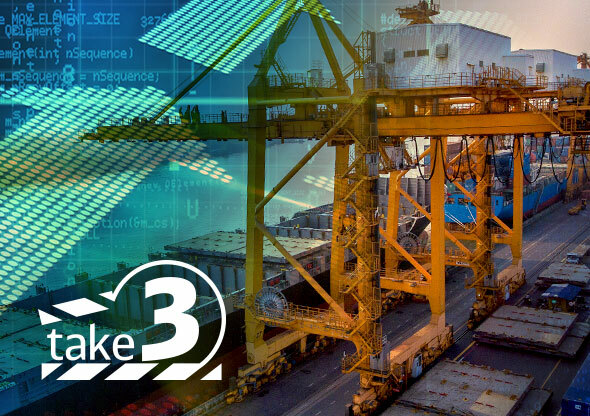 Since being rolled out, ACE has saved $9 million for shippers using the Periodic Monthly Statement program and $1.5 million for companies that submit their export licenses digitally. ACE is expected to modernize and enhance trade processing by allowing CBP representatives to receive and process data more quickly, while also allowing agencies to receive and respond to data that falls within their respective jurisdictions. For details on how to start gaining these and other benefits of ACE, please visit www.cbp.gov/trade/automated/getting-started.